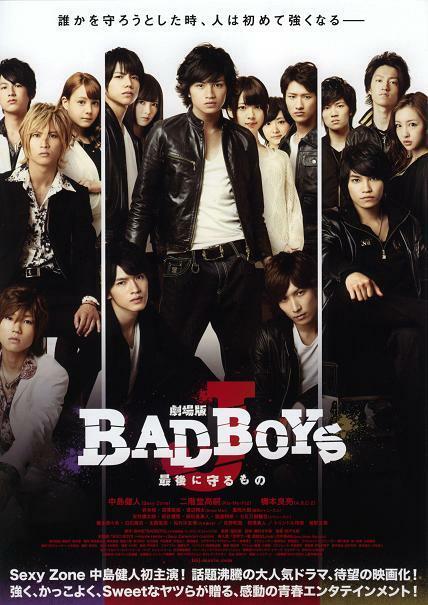 Cast: Nakajima Kento, Iwamoto Hikaru, Nikaido Takashi, Morita Myuto, Hasimoto Ryosuke, Reina Trendl, Shigeoka Daiki, Kakizawa Hayato, Itano Tomomi and Hashimoto Nanami. This movie continues after the end of the drama. After Yoji (Iwamoto Hikaru) is hired at a Ramen shop, he is getting less and less time to spend with Gokurakucho, but when an old friend Onozawa (Shigeoka Daiki) of Yoji’s returns from correction facility Yoji starts to act differently. Shortly after he announces that he has to leave Gokurakucho in order to get promoted to full time, which Kiriki (Nakajima Kento) allows, but feels rather suspicious towards Yoji. At the same time BEAST’s Danno (Nikaido Takashi) is set to beat Kiriki and determind who the strongest in Hokkaido is. On the other hand, the other gangs around are getting beat by a new threat: EDEN. Sorry for the short review, I was really trying to keep the spoilers to myself. I think I mentioned this before, but I really do like when they make movie adaptions of Japanese dramas, because of all those restrictions! I mean not that this movie is great, but I liked it a bit more than the drama: even though it’s a bit too much of idol-ish. Though the drama is something I like to re-watch, and this movie is nothing great the humor and scale is quite different. 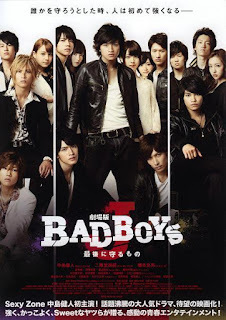 Again, nothing like the other epic Yankee movies (CROWS Zero), but a nice idea for Yankee movies.